in 360i News with tags 360i Summit, Fortune Most Powerful Women, Marketing Leadership, personal power, Zagat Both comments and trackbacks are closed. Personal power comes from your personal qualities, who you are as an individual regardless of your job, your money or your name. Arguably, personal power is the most innate but the most difficult to recognize and wield. 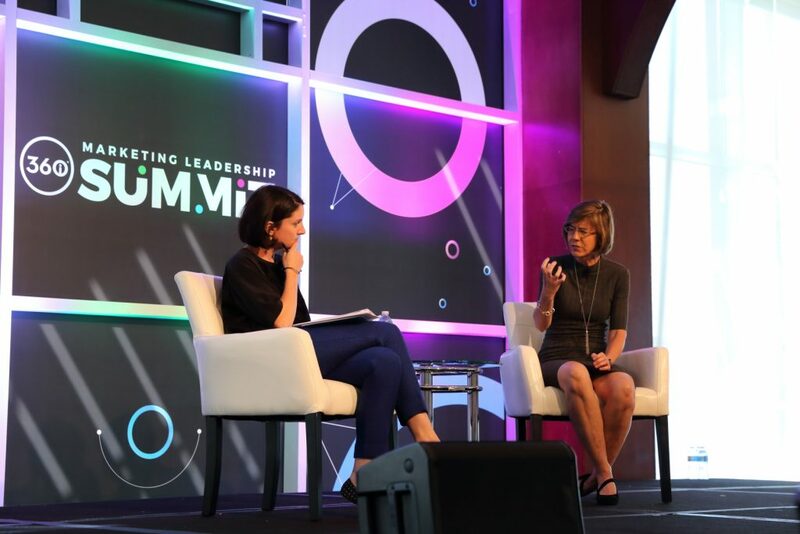 Last week, 360i held its eleventh annual Marketing Leadership Summit, a day of inspiring programming that brought together marketers from the world’s largest and most iconic brands. Over the course of the day, attendees heard from speakers with drastically different stories, who leaned into their personal characteristics to defy the odds, achieve success and empower others to do the same. One of the first speakers of the morning was Pattie Sellers, a veteran writer for Fortune, current senior editor at large and the founder of Fortune’s Most Powerful Women franchise. Sellers elaborated on ‘risk’, starting with how she fought to publish the first list of female corporate powerhouses by recognizing and ranking them when they were few and far between in the late 1990s. Needless to say, this assignment was not part of her job description. As the day continued, one could see the theme of personal power carry throughout almost every presentation. Speakers recounted the personal and business decisions they made that extended beyond their job title or prescribed assignment; whether consciously or not, these short-term actions built their long-term story. To take risks, be successful, and continue to be successful is not luck. It’s a testament to harnessing personal power – the ability to craft a narrative that consumers and employees strive to be a part of. Building on this theme, Nina and Tim Zagat took to the stage to share the story behind the Zagat Guide, an idea once rejected by every leading force in the publishing industry. In 1979, restaurant reviews were controlled by the literati. Nina and Tim Zagat, lawyers at the time, felt the restaurant review experience wasn’t diverse enough and challenged the notion that the voice of select restaurant critics should dictate what a dining experience should and should not be. The couple created a small club of consumer reviewers to create a holistic and inclusive review approach, empowering dinners to decide for themselves what type of dining experience they wanted. This small club of reviewers quickly grew to a large one, spawning one of the first UGC local content guides in America, called the Zagat Guide we fondly know today. User generated (before it became UGC): part of the driving force for the creation of the Zagat was that only a handful of experts dictated restaurant reviews at the time. Nina and Tim believed everyone has different tastes and therefore should have a voice in what is good. Publishers wanted an expert voice but the Zagat’s proved diners wanted something different – user generated ratings for a more democratic review system. Local: the idea for local reviews didn’t sound scalable or lucrative to initial publishers. Today the local and personalized aspects of Zagat are what make it such a useful and reliable tool. Mobile (as in pocket-sized, not digital… yet): Because the book was local, it also meant it was smaller and, therefore, could be carried around in one’s pocket – a fundamental component of Nina and Tim’s idea. This belief centered on easy access permeated the company as it grew, powering their innovations as websites, mobile apps and Google came to be. Nina and Tim Zagat, along with many other speakers at the Summit, possessed one constant, the ability to recognize and lead change, using their personal power to defy the odds when their content power and positional power weren’t enough. 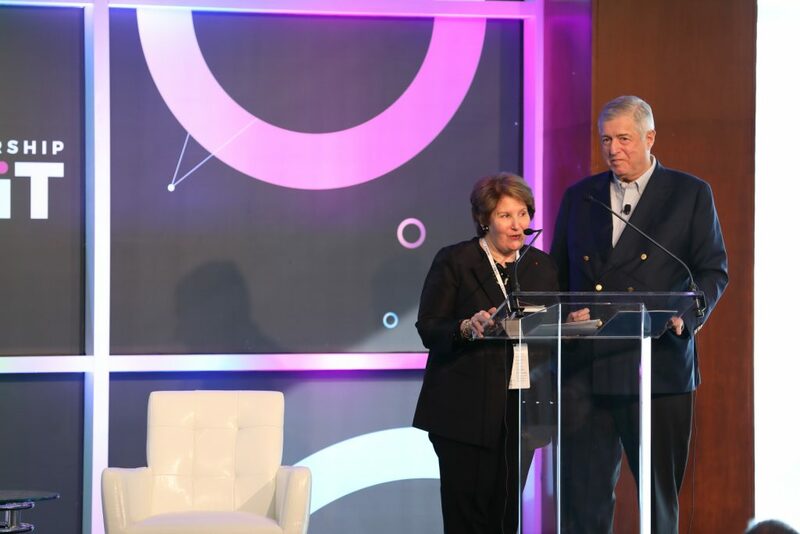 As Pattie Sellers reminded us, “People come to companies because of the people who run them.” Disrupting an industry is only one part of the story. To sustain success, inventors and entrepreneurs must become leaders who inspire and empower those around them by defining purpose, enabling collaboration and believing in change.